A Montana-based organization is helping jump start high-tech startups through a business pitch competition held in Missoula, Billings and Bozeman to encourage tech industry development and job opportunities. Early Stage Montana, a nonprofit coalition, is looking for entrepreneurs who need help planning and growing their businesses. Participants will pitch their business plans and products to a panel of judges for a chance to win a free five-day accelerator training program and compete for a $50,000 investment during the annual Statewide Showcase scheduled for November 2019. Early Stage Montana is made up of nine different organizations, including Frontier Angels, Montana’s largest investment group. Pat LaPointe, managing director of Frontier Angels and acting chairman of Early Stage Montana, said the goal is to create high-scale, high-paying jobs in Montana. About 40 companies applied last year, with about seven selected to pitch their businesses. Within a few months of completing the program, the companies raised over $5 million to fund their development. The deadline for the 2019 pitch competition applications is April 17, and can be accessed through the organization’s website. Eligible participants must be Montana-based companies with a technology focused business model and under $2 million in annual revenues. The organization’s first competition in 2018 resulted in two first place winners, Superior Traffic Services of Missoula and Sellout Inc. in Bozeman. The companies split the investment money and received training through the accelerator program, which fine-tunes every aspect of a business plan, including marketing, hiring and financial strategy. Superior Traffic Services founder Jeff Hollenback used what he learned through Early Stage Montana to develop a portable traffic control device and software company. Created with partner Jonathan Walther, the business’ technology can remotely monitor, configure, control and manage traffic control devices anywhere in the country. 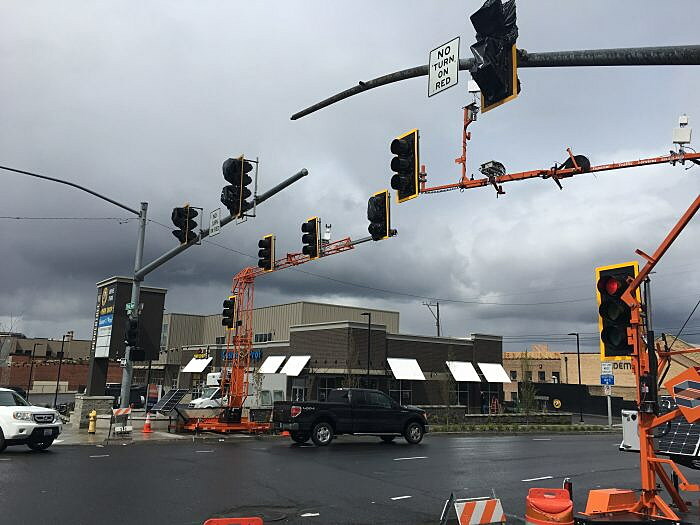 Having worked in highway construction and traffic control device services for 30 years, Hollenback decided that there needed to be a better solution to managing the devices. Now, using his devices, Hollenback watches projects by webcam through a control center in Missoula. If a problem arises, he’s there to fix it. Now construction projects on the East Coast and other sites throughout the U.S. are using the company’s services. The devices keep flaggers off the road, which is one of the most dangerous jobs in the country. Through the competition’s 50-hour accelerator program, Hollenback said he learned the potential of the business, and learned what the future could be. Seven other business that were chosen to participate in the program saw a lot of growth as well. Hollenback encourages other businesses to apply because it’s worthwhile. “There were seven or eight companies at the hyper-accelerator program, and they were all different businesses. The growth that you saw from day one to the end of the week with every company was incredible,” he said.